According to Wikipedia, Emoji are ideograms and smileys used in electronic messages and web pages. Emoji exist in various genres, including facial expressions, common objects, places and types of weather, and animals. They are much like emoticons, but emoji are actual pictures instead of typographics. See: How Do I View (And Clear) My Facebook Search History? Originally meaning pictograph, the word emoji comes from Japanese the resemblance to the English words emotion and emoticon are purely coincidental. Facebook uses a thumbs-up sign as it defaults emoji. The same is applicable to the Messenger app. 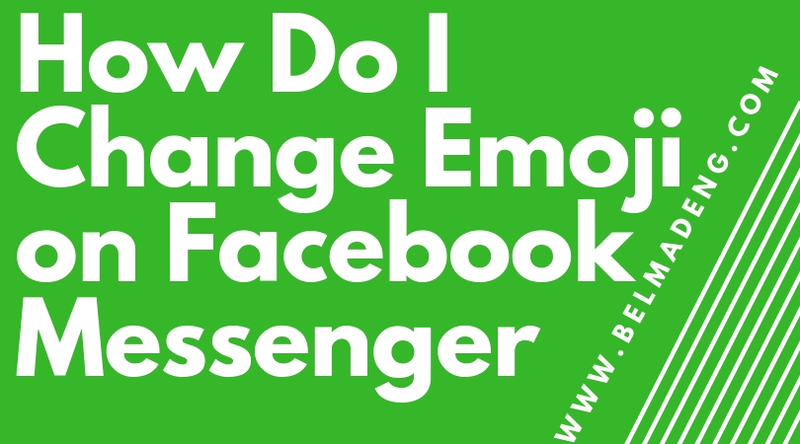 However, Facebook Messenger users can change the default emoji to the one they like. There are two ways to access Messenger. You can either pass through Facebook to Messenger or enter Messenger.com to access it. 4. On the right side of the Messenger interface, click the option that says "Change Emoji"
Another way to access Messenger if you don't want to pass through Facebook is to enter Messenger.com in your browser and then click the enter button. Next, on the Messenger homepage, you'll need to click on the continue as your name option. Now, you'll be taken to your Messenger account ASAP. Once there, you can then carry out the above steps to change your emoji. Changing emoji on Messenger as described above also changes emoji in Facebook chat. That is how to change conversation emoji on Facebook Messenger.